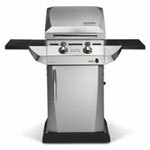 Regular gas and electric grills are perfectly adequate at searing meats, vegetables, fish, and fruit. 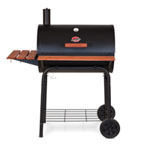 However, for the mouth-watering, tender, smoky barbecue taste that you typically get from a smoker at a barbecue restaurant, you can also use a charcoal grill. 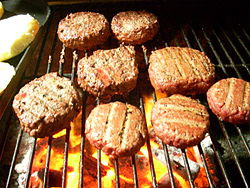 The trick to charcoal grilling is cooking foods for a long period at low temperatures. By building a fire at one end of the grill and maintaining control of the airflow, you can effectively slow cook ribs, chicken, or pork for an authentic, smoky barbecue taste. 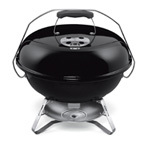 With fewer moving parts, charcoal grills have a longer lifespan. 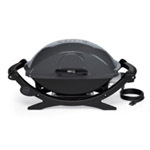 They usually cost less than gas grills. Of course, the fuel you buy to heat them can even out the costs in the long run. 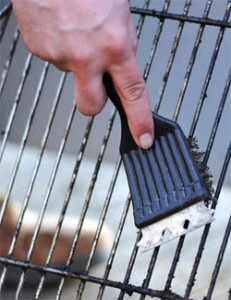 A gas grill can be a more convenient choice because it starts up and cooks faster, but for a rich taste and tender consistency, a charcoal grill is a valuable cooking tool.